What others say about chiropractic care can help you make the right health care choice. Review a selection of our patient testimonials below and please email me or contact the office if you have any questions. Dr. Lisa is great! Highly recommend her! 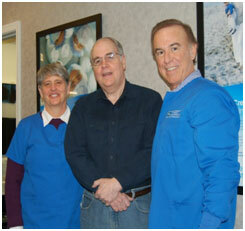 I have been treated by Dr. Dennis for over 30 years. Now that my grand daughter (4 months old yesterday) has seen him, he’s treated 4 generations of my family. Definitely the best chiropractor around. Love how comfortable Dr. Lisa made me. Love how she wants to share her knowledge and feel that she wants to educate her patients. Speaks to you more like a friend than just another patient. About 20 years ago I fell down the stairs in my home and landed flat on the lumbar part of my spine. After that, my back started giving me problems. My primary care physician told me I had arthritis and a mild case of scoliosis and he treated me with pain medication and muscle relaxants for the next several years. When I asked him if chiropractic care would help me, he said he did not believe in chiropractors. 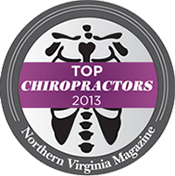 In September of 2008 I was sent to Family Chiropractic of Fairfax by my new primary care physician. For 3 months, I saw Dr. Dennis every day except Sunday. It was a long duration but I never faltered because Dr. Dennis gave me confidence that my back problem could be corrected. Slowly but surely I began to see an improvement in my back. I am 57 years old and I feel like I should have felt around 40. I can play with my grandchildren and stand and sit for as long as I want to. Simple things that I couldn’t do before have now become a part of my life—like picking up a penny off the ground. Dr. Dennis and Dr. Lisa have literally given me my life back. They have accomplished what primary medical care, medication and physical therapy were not able to do. 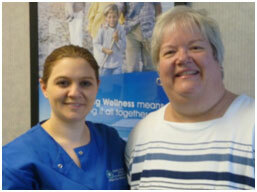 Thank you, Dr. Dennis and Dr. Lisa, for all of your time, care and patience you have taken with me. Now, if I could only look like I did when I was 40! 17 years ago I started having lower back pain. When it didn’t get much better after a few months, I went to Family Chiropractic Center. They did electrical stimulation and spinal manipulation and I was told to do stretching exercises at home. After about a month I started to get better and started coming once or twice a month. I still have to be careful about my back. In 1997, I gave up bowling, but I am 65 years old and can do lots of things now that I could not do at 47. By being careful, doing my exercises and getting regular adjustments, my back has gotten better and better. Without the chiropractic treatment I have gotten at Family Chiropractic Center, I would not be able to do the walking, exercising, etc. to get where I am today. I really enjoyed Bonnie’s massage. She did a great job working out all my knots and tension with some good, deep pressure. I loved the warmed table, the relaxing ambiance, and other nice touches like the warm towels on my feet and back. She attended to my requests to target tension spots to help me relax from my high-stress work. I hope to come back on a regular basis to keep my muscle tension managed much better. Bonnie was amazing. I’m a massage veteran, so I’ve been to many places in the area. Her massage was one of the absolute best I’ve gotten! The reviews for Bonnie prompted me to call. My back has never been as bad as it has been in the last three weeks and Bonnie has worked miracles on me. She knows exactly what to do and finds every knot and ache in my body. She has changed my life!! I will be bringing my daughter and a friend cannot wait to try her. Bonnie is a GEM of a therapist and person!! Thank you. Bonnie was awesome. So professional but friendly too. I’m a massage “veteran” and this one is in the top five I’ve had. Thank you Bonnie – I’ll be back. This time I saw Bonnie P. She’s super-sweet, but don’t let that fool you- this girl can get deep into your knots- really great when your shoulders and neck are as crunchy as mine were. She’s pretty much a sorceress. I was so massage-wasted that I don’t really remember the drive home, but somehow I managed to pick up gingerbread from Whole Foods. Still not sure how that happened. But it was delicious.